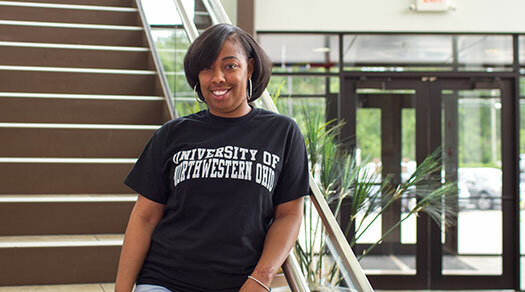 At the University of Northwestern Ohio, we have been educating students who have become successful business owners, leaders, major decision-makers and employees for nearly 100 years. Our programs offer a modern, interactive approach toward Business Administration education, offering associate degrees, bachelor degrees and a master's degree in Business Administration. You can choose to take the bachelor's degree in Business Administration alone or, you can select concentrations in Marketing, Agribusiness, or Automotive Management. You also have the opportunity to obtain an Associate of Applied Business degree in either Business Administration or Marketing. 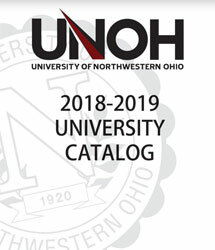 Every Business Administration degree offered at UNOH– Associate, Bachelor, or Master – is accredited by The Accreditation Council for Business Schools and Programs. Today’s student needs every advantage a University can provide. Choosing to attend an ACBSP-accredited university ensures you’re getting the kind of education that prepares you to be an effective leader, the kind of education employer’s want. We have classes that meet during traditional class times, flexible learning evening program , or 100% online. You can complete an associate’s degree in 8 quarters, and a bachelor’s degree in an additional 6 quarters if you meet all program requirements. In these positions, the higher degree level you obtain, will have an impact on your future earnings. Graduates with a Bachelor’s Degree will earn almost $18,000 more per year than those with an associate’s degree and those with a Master’s Degree will earn $28,000 more per year than those with a bachelor’s degree. *Percentages are based on surveys of our 2013-2015 academic year business administration associate, bachelor, and master degree graduates who reported they are employed or are continuing their education within 6 months of graduation from the University of Northwestern Ohio. There was a 65% response rate to this survey.